Hint: It’s New England. Another Hint: You’ve undoubtedly seen one of these folks in action. This week’s Mystery Glimpse photo comes from the archives of the New England Ski Museum with headquarters in Franconia, NH, and a new branch location in North Conway, NH. 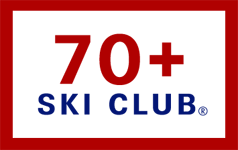 The New England Ski Museum collects, conserves, and exhibits elements of ski history for research, education and inspiration. They have have operated the Museum at Franconia Notch State Park since December, 1982, and welcome thousands of visitors each year. You can access detailed descriptions of the museum’s permanent and annual exhibits by clicking here. Only one guess on this one. 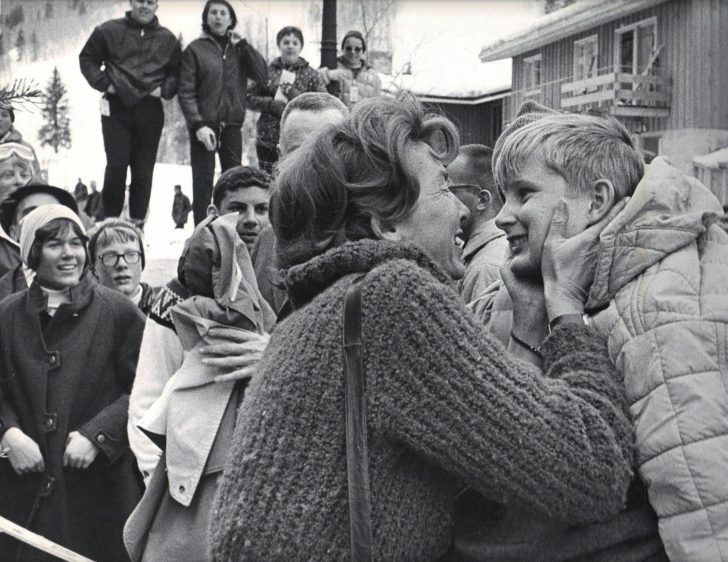 That’s surprising because the story behind this picture is embedded in Vail lore. 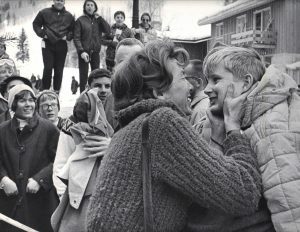 On April 1, 1964, when Vail was still brand new, a 14-year-old boy named Marty Koether got lost on the slopes—and ended up becoming a permanent part of Vail history. Koether, who accidentally skied into a yet-to-be developed Game Creek Bowl, spent a long, cold night in a tree well near the bottom of the present-day location of the Game Creek lift before climbing out the next morning and being discovered by ski patrol. 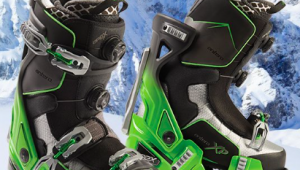 The incident was chronicled in Skiing Magazine and became part of the mountain’s folklore. The winding, green trail in Game Creek Bowl “Lost Boy” is named after Koether and his disappearance. A salute to the Colorado Snowsports Museum and Hall of Fame. A special thanks to museum curator Dana Mathias who provided this story. I remember hearing Toni Matt recount his famous Inferno Run at Tuckerman Ravine at the EMS in North Conway. It was recorded by the New England Ski Museum at the PSIA event that I attended there. The Museum has lots of recordings and videos that are worth seeing and hearing. Looks like Judy Garland to me. Gary Cooper and Judy Garland. Off to see the wizard of skiing. Looks like they are heading out to dinner rathher than a ski run. 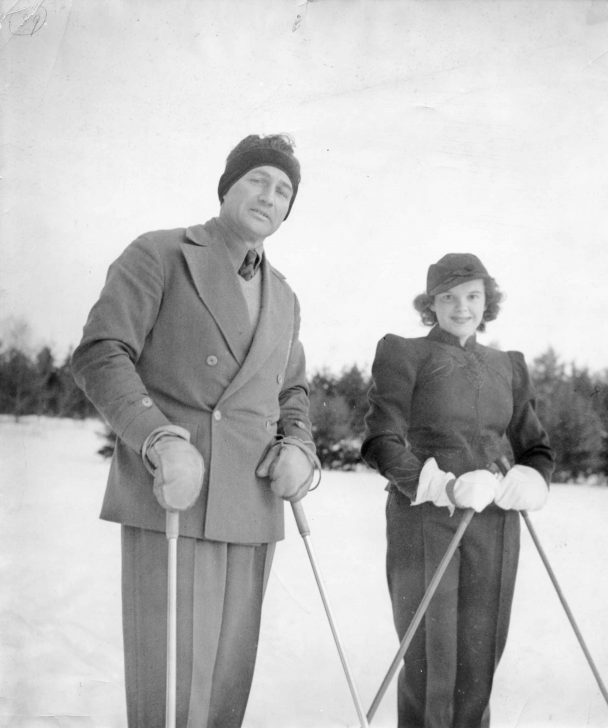 Looks to me like Judy Garland, and the Austrian ski school director at Mt Cranmore. Very close. Otto Schniebs and Judy. Looks like Rock Hudson and Judy Garland to me……but that was just before my time of course!! Being from Minnesota and just old enough I’d know Judy Garland anywhere!